Incredible Tretchikoff: Blue picture of Mrs Thatcher! 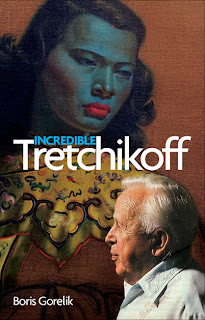 Tretchikoff used to show interviewers an issue of Punch with the headline: ‘Free inside. 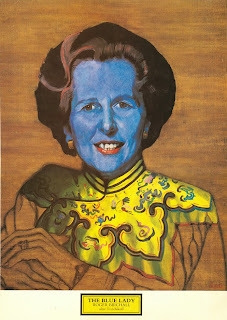 Blue picture of Mrs T!’ ‘Just look’, he would say. 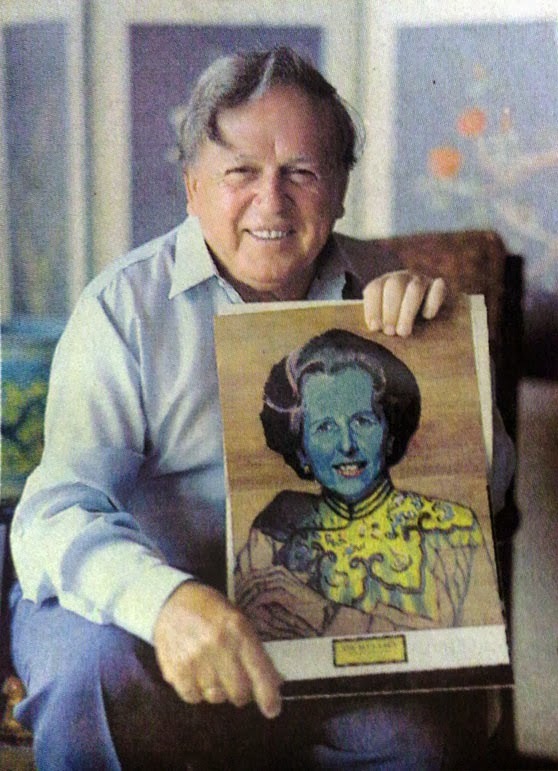 ‘You will laugh like blazes!’ The picture on the insert was a portrait of Prime Minister Margaret Thatcher with an extraordinarily bluish complexion. 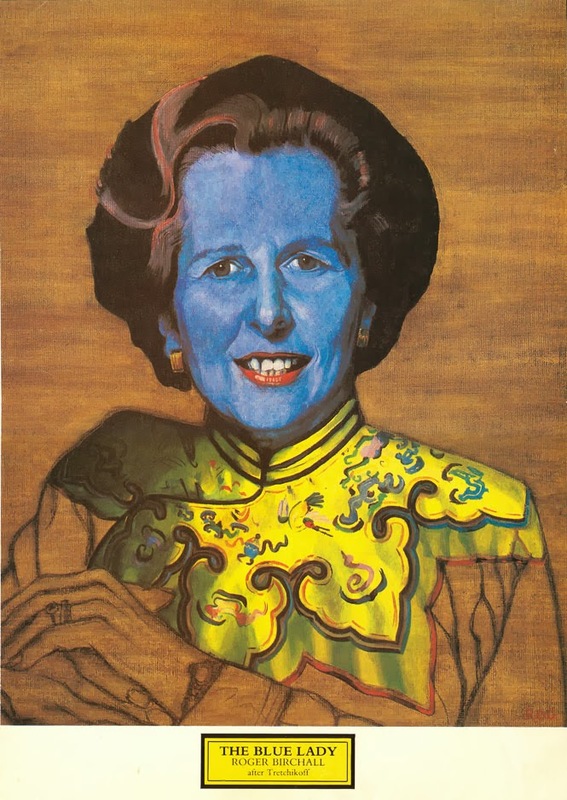 The Iron Lady was dressed in a yellow Asian gown, which showed beyond any doubt that this was a take on Tretchi’s Chinese Girl. Roger Birchall, then admissions tutor at Dartington Hall School in Totnes, Devon, painted this picture. He says that Punch had never published prints before and did not do it again before disappearing from the news-stands. ‘It was 1981, and I wanted to find a peaceful, humorous way of getting at the Tory PM’, recounts Mr Birchall. ‘The visual metaphor for my reworking of Thatcher’s head is that, in my opinion, she was cheap, deeply flawed and anti-intellectual. To me, that was very much like a Chinese Girl print. 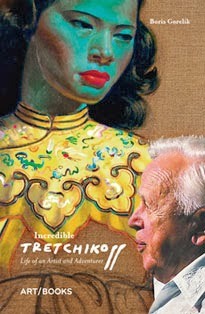 When journalists asked Tretchikoff how he felt about Birchall’s Blue Lady, he said he was flattered: ‘Tretchi is happy! The Chinese Girl was born in 1952 and she’s still going strong!